Gifted as a widely exhibited artist, teacher, group leader, and public speaker, Aviva Gold has evolved from art therapist/teacher and psychotherapist in private practice into a spiritual guide through painting. Aviva Gold MFA, MPS, CSW, ATR-BC, REAT, and Art Medicine Woman discovered the enchanted bliss and healing in nature and art as a lonely child. Thus began a lifetime of guidance from the muses found in art and nature. Aviva graduated from Syracuse University with a BFA in Art Education and Painting in 1962, taught art to children in Harlem and Spanish Harlem, New York City, received a Masters in Painting from Pratt Institute, was Mom to three sons, wife to a young doctor, and a natural childbirth and lactation coach, and she painted, exhibited and taught drawing and art history at New Mexico State University… all in what she sees as her "first" life. Continue reading Aviva's Story. Gifted as a widely exhibited artist, teacher, group leader, and public speaker, Aviva Gold has evolved from art therapist/teacher and psychotherapist in private practice into a spiritual guide through painting. She has traveled widely, influencing many nationally and around the world. Her workshops and lectures on the innovative method she calls "Painting From The Source," draws seekers of every stripe - from beginners who have never before dared to put brush to paper, to experienced professional artists with their own worldwide reputations, neophytes on the evolutionary path who are just beginning their explorations, to highly evolved spiritual seekers, fully aware of the myriad paths to the Source. Aviva has worked with both deeply troubled individuals daring to look inward for the first time, to integrated students at home in their evolving selves. Notable among Aviva's characteristics as a teacher and guide is her ability to reach the full range of students who come to her workshops and presentations. The diversity of her students is one of the most wonderful aspects of her work. 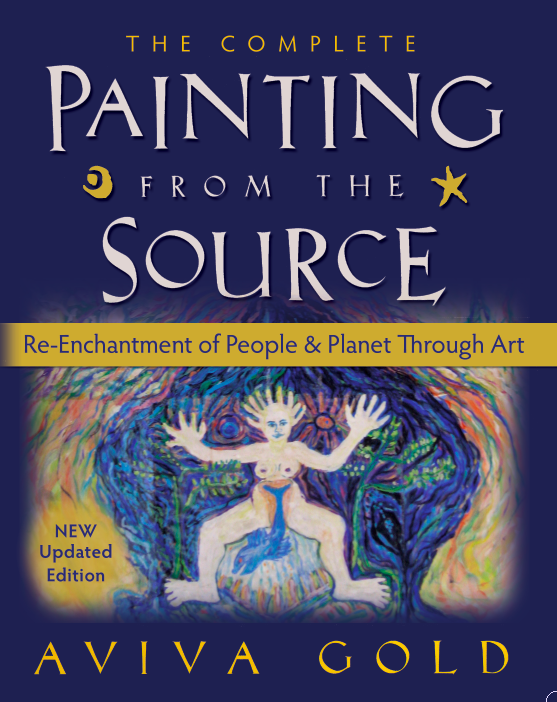 As the 2012 publication of her book, Painting From the Source: Awakening the Artist's Soul in Everyone (HarperCollins) and her work demonstrate, Aviva's message - that painting can be a conduit to humankind's most profound wisdom - has messianic quality: one hears it and begins to nod in agreement. For this reason, Aviva has spent much of her professional life seeking out and welcoming opportunities to describe the principles and method of Painting from the Source. She has presented her message, through lectures and workshops, in many personal growth centers throughout the world. These include workshops at Interface, Boston, Massachusetts; Omega Institute, Rhinebeck, New York; Esalen Institute, Big Sur, California; Kripalu, Lenox, Massachusetts; Common Boundary Conference, Washington D.C.; Synergia Ranch, Santa Fe, New Mexico (where she conducts extended workshops on a regular schedule); Knowledge Network, Albany, New York; Wainwright House, Rye, New York; Leading Edge Seminars, Asheville, North Carolina; Atsitsa, Skyros Island, Greece; Center for Harmonious Living, Athens, Greece; Open Center, New York City; Sedona Fellowship Center, Sedona, Arizona; Rowe Conference Center, Rowe, Massachusetts. 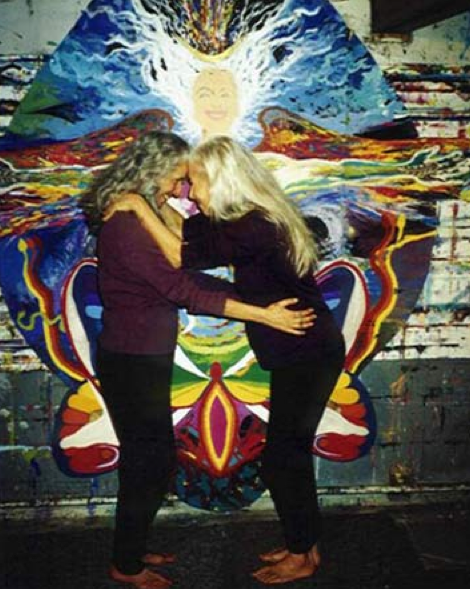 Beginning in 1996, and at regular intervals Aviva has retreats at her own creative arts center, in Spencertown, New York. Individual and group consultations for creative breakthrough. Aviva is a cofounder of Creative Passage, an organization devoted to offering creative experiences designed to inspire, even compel people (communities, institutions etc) to live a sustainable lifestyle that is more in tune with the needs of our home planet, while also encouraging people to spread this inspiration to others. This one gets you by surprise. like dust devils in the desert. She gets you by surprise.